The current drought ravaging parts of Eastern Africa and the subsequent famine triggered largely by failed rains is enough proof that water indeed is life. The lack of sufficient water in the environment will not only threaten the survival of species, but it also triggers serious human conflicts whether with wildlife or fellow humans. A case in point is what Kenya is experiencing in Baringo, Laikipia, and Pokot regions. It is estimated that today, 40% of the world’s population is affected by water scarcity and drought in one way or another. This goes to confirm that there should be national action plans that can effectively handle and deal with this recurrent problem once and for all. 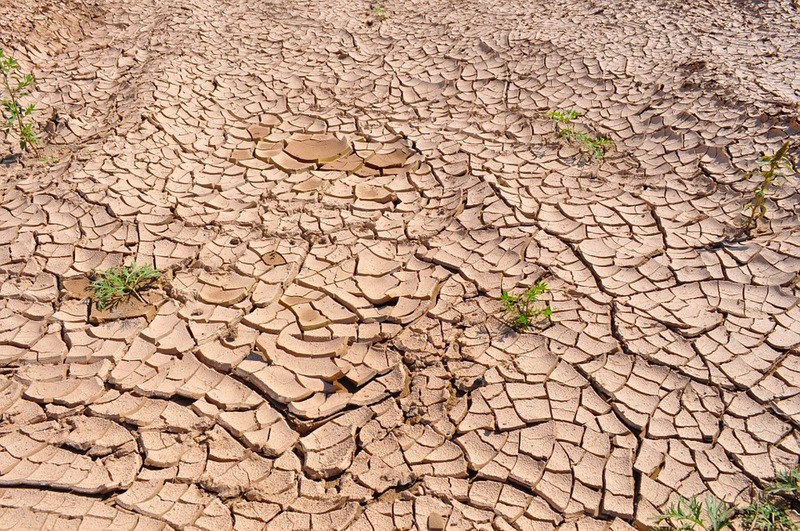 In Kenya, it has been stated that about 2 million people in 11 counties are drastically affected by the drought, which has already been declared as a national disaster by the President of Kenya. While this is not the first time Kenya has experienced drought, it goes to say that we have not learnt much from the past similar events. It appears we are always taken by surprise and the institutions that are supposed to have planned always wake up to action too late. It is always like the proverbial saying, closing the gate after the horse has bolted! We need a drought action plan that is effective and that includes all relevant stakeholders. This is not the kind of action plan for one or two institutions. I wish I could say that this will be the last time Kenya experiences such a severe drought! There is an urgent need for Kenya to connect to those countries and experts with experience in addressing issues of water policy and management focused on addressing water scarcity and drought. The fast urbanisation currently happening in Kenya as a result of population growth and devolution also calls for action on the part of counties to act urgently in ensuring adequate water and sanitation services provision. Though this may be a ‘minor’ inconvenience for now, an acute shortage of water and sanitation services is a time bomb for serious water related epidemics that counties need to avoid through water wise planning for their growing towns. In 2015, the UN General Assembly emphasised their support for the urgency of water and sanitation provision by adopting the Sustainable Development goals, of which Goal 6 stipulates the availability and sustainable management of water and sanitation for all by 2030. Without fulfilling this particular goal, achieving most of the development goals will remain a pipe dream. Though acute water shortage tends to focus our solutions to providing sufficient quantities of water to the populace, the issue of drinking water quality is a serious global concern. In an effort to address this, the Wold Health Organisation (WHO) has collaborated with experts to develop the WHO Drinking Water Guidelines that are regularly reviewed. To ensure these guidelines are implementable, The International Water Association together with other partners has been working with a number of urban water utilities supporting them to develop and implement Water Safety Plans (WSP) as a way of ensuring safety of drinking water. WSP is a tool that has been recommended by the World Health Organisation to be used to ensure safety of water from the catchment to the consumer tap. Since 2009, the International Water Association (IWA) has been involved in capacity building initiatives to empower utility workers in over 15 urban utilities in Africa. One of the important programmes initiated by IWA is the ‘IWA Principles for Water Wise Cities’. This tool is used by urban stakeholders to develop a shared vision and act towards sustainable Urban water management in resilient and liveable cities. With increasing number of people living in metropolitan areas, water, energy and materials need to be used carefully, reused and renewed. According to statistics, by 2030, over 6 billion people are expected to live in cities. With that kind of movement of populations, comes several challenges of provision of water and sanitation. Basically we need to come up with diverse water sources, including recycling and reuse. There is need to store the water that goes to waste when we get heavy rains, for use when the dry spell sets in. The IWA tool would be useful for the city authorities as they grapple with this huge challenge. The ultimate goal of these Principles is to encourage collaborative action, underpinned by a shared vision, so that local governments, urban professionals, and individuals actively engage in addressing and finding solutions for managing all waters of the city. The critical interest in water and sanitation in the country therefore calls for the Kenyan water professionals to collaborate with the international community in developing and implementing sustainable solutions that will improve the way we manage our precious water resources. Developing such programmes will for example benefit from the ‘IWA Principles for Water Wise Cities’ that help city leaders ensure that everyone in their cities has access to safe water and sanitation. Among the aims of the Principles is to ensure that water is integrated in planning and design in cities to provide increased resilience to climate change, livability, efficiencies, and a sense of place for urban communities. What can the Kenyan Water professionals do? The water sector has several professionals with different specialties and interests. What is important is to realise that none of these professionals can work in silos and achieve their goals. For success in managing the ever scarce water resource, there is need for a holistic effort. One must bring together all stakeholders: utilities, academics, policy makers, catchment managers, to name but a few. In some countries where this has worked well, all the above mentioned people belong to one national Association. This gives members an opportunity to network as well as put their heads together to handle national challenges. Unfortunately, for now, Kenya does not have such a network, and it is time for some forward-looking professional to take up the challenge to rally the rest. Such an Association would be a valuable asset to the government as advisors on various technical and social water-related issues.